_is rediscovering the joys of cooking, all over again. _has moved the sumptuously inviting lamb's wool rug around the apartment a few times–and is lying on it this very instant. And has decided it's staying in it's new spot forever, so that I can lay down, look out my window, and see the seagulls dancing above the canals. _sometimes misses the adventures he had climbing the cliffs of Baker Beach in San Francisco; as well as the view of the city from the old apartment. _has been taking the tram everywhere for the past two days because of the rain, and sore marathon legs. _is looking to recreate his version of the Mona Lisa–wearing aviators and smoking a joint–on a piece of craft paper currently taped on the kitchen wall. 1 x 1.5 m, respectively. _cannot wait to go to Italy in August. _would like to reintroduce alcohol to his diet sometime soon. _is starting to write again; and that feels nice. _love the feeling of walking on unfinished wood flooring–Scandinavian blonde as the masses have deemed it. _is starting to think of Amsterdam as home. especially every time I come back after being away. There's just something about claiming your bag(s) at Schipol, scurrying off to the train headed toward Centraal Station, getting off, taking the tram/bus back to my house, and knowing that my home, is just around the corner. _'s apartment feels more and more like a home, with each progressing day. _just reaffirmed his love for Denmark, and subsequently, Copenhagen. 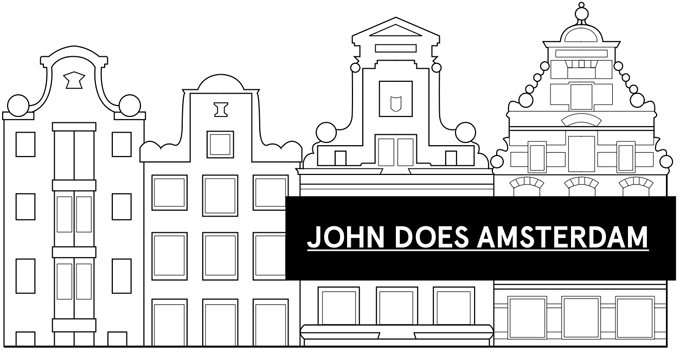 _has a hard time remembering just how much he left behind in the states, before moving to AMS: everything. _sometimes forgets that he used to have quite a many friends in America and misses them all dearly. But as times change, so do the circle of friends in your life. _also realizes how much he's accomplished in Amsterdam, in just under one year. _loves that the sun has returned, and summer is near. _thinks he physically looks much older than he did two years ago; I'm growing up. _is glad he was able to show his brother Europe and hopes he comes back soon. _thinks Scandinavia has the most wonderful clouds in Europe. Big and fluffy. _can't wait to begin Dutch lessons and thinks Dutch makes his mouth (and voice) do the funniest of things. _thinks some Dutch words are just fun to say. Like the word makkelijk. Which is pronounced as: m-ah-kuh-lick. Emphasis on the 'ah'. It just rolls off the tongue, and if you say 'heel makkelijk'–pronounced as 'hail'–it's even more fun. Wondering what your saying? : makkelijk=easy; heel=very. _pretty much thinks all Dutch word ending in 'lijk' are fun to say. _sometimes forgets that he is not Dutch, or European for that matter. But naturally as you settle into your surroundings, you adopt the customs and cultures of the society around you. _could never imagine living in the USA again; at least not in the foreseeable future. _had the chance to revisit his favorite bakery in the entire world, while in Copenhagen. _is completely content with where he is at in life, at this moment. _is learning to love himself, all over again. And that feels really nice. Which just so happens to be my favorite airport in the entire world. My initial response to this question was: no. But in retrospect; why shouldn't we all think of ourselves as fabulous? If we all just go around thinking of our lives as mediocre, or–unfabulous, then what's the point of each day? What is it that makes us get up each morning, and do the things we do? After all, if you don't believe in yourself, who will believe in you?